Tim Miles and Ryan Patrick use their combined 40+ years experience working with family businesses to share stories, offer advice, and cut through the buzzword-saturated clutter of marketing and management advice. 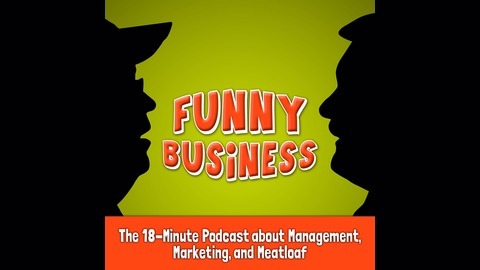 Part Dave Barry and part Dave Ramsey, these two guys look at the world—and the world of business—a little bit differently (and a little bit irreverently), and they've helped hundreds of businesses and thousands of people communicate more powerfully as a result. 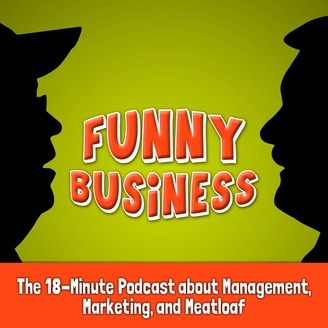 In this episode of Funny Business, Tim & Ryan are joined by Michael D. Slover, author of the new book The Strategy Wizard. Michael shares his thoughts on small business advertising, being courageous with your marketing, and Malcolm Gladwell’s meatloaf. FuBu 29: Do Logos Matter?